Michele Mills has served as the treasurer and chief financial officer for the Beachwood School District since 1989. Under her direction, the District earned a Aaa bond rating from Moody's Investor Services. Ms. Mills' numerous achievements include production of an award-winning Comprehensive Annual Financial Report (CAFR) each year for the past 25 years, significantly increasing the financial accountability of the District. Under Ms. Mills direction, the treasurer's office also has published an award-winning Popular Annual Financial Report (PAFR) for the past 14 years and received the Ohio Auditor of State Award of Distinction in 2012 and 2013 for clean audits of our schools. Ms. Mills is an active and contributing member of the Ohio Association of School Business Officials and served as president in 1997. 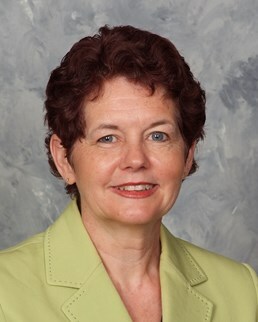 She is also a member of the Association of School Business Officials International, where she served as a comprehensive financial report reviewer; is a member of the Government Finance Officers Association; and serves on executive advisory board for Lake-Geauga Computer Association. She takes a special interest in professional development and plays an active role in leadership training and teaching generally accepted accounting principles to her colleagues. Ms. Mills holds a bachelor's degree in accounting from the University of Akron and a master's in business administration from Baldwin Wallace College. An avid community volunteer, Ms. Mills coordinated an "Up With Kids" grant to bring stress-relieving programs and resources to working parents, and she is also a co-coordinator for Community of Saints' Family Promise program (formerly the Interfaith Hospitality Network), which provides transitional housing and services to homeless families. Ms. Mills is also a member of the Beachwood Schools Foundation Board of Trustees.